A leek green colored cryptocrystalline quartz aggregate with actinolite inclusions. Usually darker and less saturated than chrysoprase. In Greek the word Prason means leek, hence the name. 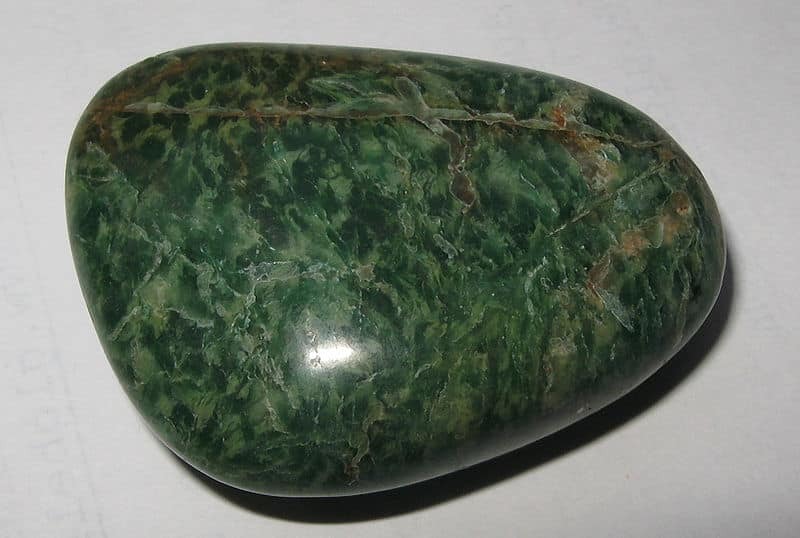 Dyed green agate is sometimes misrepresented as prase. Newman, Harold. An Illustrated Dictionary of Jewelry, New York: Thames and Hudson, 1981. Pp. 247. Schumann, Walter. Gemstones of the World, New York: Sterling Publishing, Co., 1977. Pp. 122.